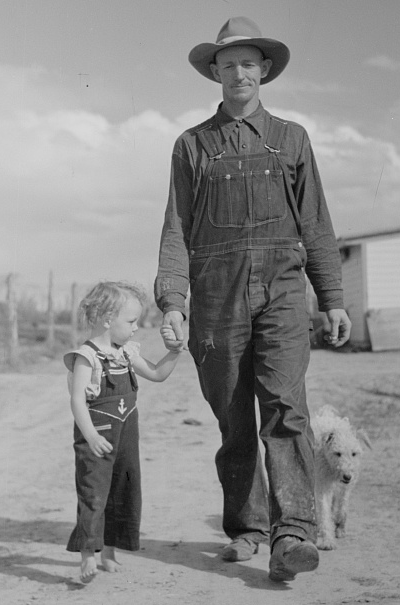 I read a great post from the Library of Congress last week (http://blogs.loc.gov/picturethis/2012/07/celebrate-sparkling-new-fsa-scans/) about its new collection of about 45,000 Great Depression-era photograph scans in the Farm Security Administration (FSA) collection. The call number code for this collection is USF33, so going to http://www.loc.gov/pictures/search/?q=USF33 will take you to a full list. And of course once you’re there you can add other search terms. I added the keyword contest to the search and got my list winnowed down to 142 results, with pictures of all kinds from all kinds of contests including corn-shucking, barrel rolling, top spinning, pie eating, goat roping, and burro loading. The result list includes a thumbnail that seems a bit on the small side, but that’s made up for with the thorough titles of the pictures and a little information about the date of the photograph and the photographer. Click on a listing and additional details you’ll get will include rights information (I think this collection is pretty much freely available), call number, subject, and notes. You can also download the picture in larger formats — anything from smallish JPGs to TIFs over 10MB in size. I loved this collection. So many of the shots are candid and it’s easy to tell the photographers had a true warmth for the subjects in the pictures. If you want to start off your exploration with some fun, add the word “wager” to your search for USF33. You’ll find a very funny series of images. can you let me know who took the image of above, titled Farmer and daughter? Hi Uno, the picture was taken by Arthur Rothstein. You can get more details on him and the picture at http://www.loc.gov/pictures/item/fsa1997012562/PP/. Hope this helps.